Valet is available on Friday and Saturday evenings for $10. All other evenings we offer complimentary parking in the garage downstairs. Going to the theater? Weekend parking is complimentary if you join us for dinner before or after the show! Steps away from Union Station! We stopped by for an early Easter dinner so the place was quiet with us at a table by the window and a few people at the bar. The decor is beautiful, modern and hip. Great music too! We had the 10 oz filet and 8 oz wagyu with truffle butter with a few sides (mushrooms, broccolini and Brussels sprouts) and started with the oysters and tuna tacos. Everything was absolutely delicious. They have a great happy hour everyday (I think). I’m from NYC and highly recommend this place for happy hour or a nice dinner. We will be back soon! We were at STK for brunch. The food was cold. The cost was ridiculous for what was delivered. The service was less than satisfactory (the waiter took our drink order and did not come back for 15 minutes. He never explained how the brunch buffet worked, so we sat there until the person came back around to pour more water and we asked her to explain) ~ I will NEVER go back! This place was awful. I should have gone to Capital Grille. 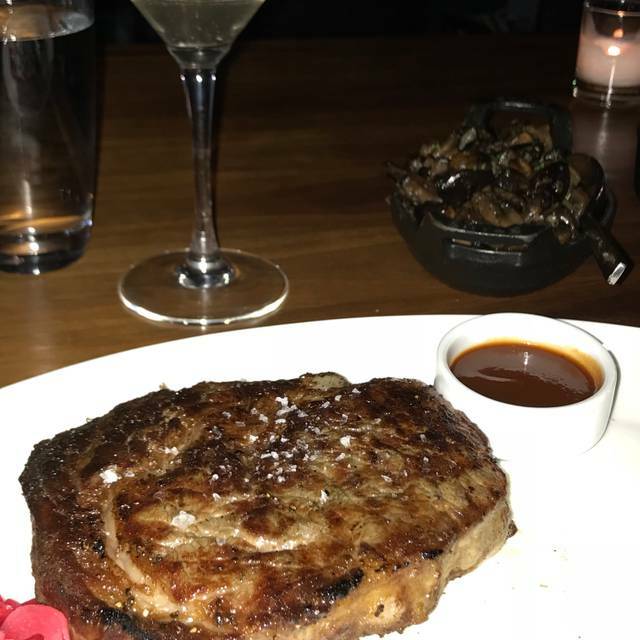 Way overpriced - My girlfriend and I ordered NY Strip and a Filet - NY Strip was ordered at Medium and Filet was ordered Med Rare. We got beef jerkey. Both were WELL DONE. We informed management - they did offer to re-cook but we were so hungry that we declined and just asked for them to comp dessert. They comped dessert and one drink. The tall female manager was very apologetic. At least service was nice. However we ended up still paying almost 200$ for way overcooked steak and to be in an atmosphere where it was like eating in a club - music was incredibly loud - there was a photographer there that didn't have an umbrella over his flash and was blinding everyone in the place constantly - just a bad experience overall. Beyond wonderful, Dylan was being amazing! 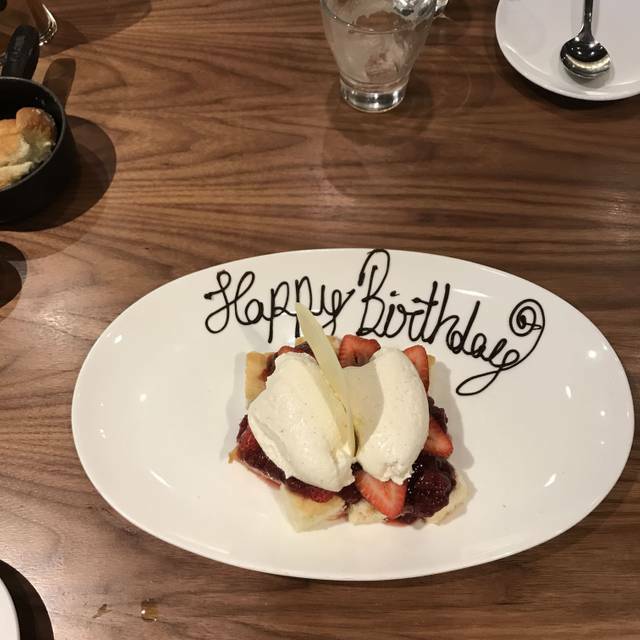 We decided to have an early dinner on a Friday night to celebrate our anniversary and it paid off. It felt like we have the entire restaurant to ourselves. Our server was Dylan and he was great. Provided many recommendations and shared valuable conversation through your meal. Our steaks werent done as we ordered them (paying $60 for a steak you expect them to be at least close). My wifes was rare, she ordered Medium, mine was well done, I ordered Medium. Took 45 mins between courses as the kitchen "was backed up" then that added another 20 mins so an hour between apps, salads then main course. No comp was offered to our bill for the frustration and obvious multiple mess up on their end, waiter was great though. Club like atmosphere LOTS of sparklers going off for birthdays etc spreading smoke and made enjoying our meal more difficult. We won't be back. Took almost an hour to get our food. Server came back three times stating that our order was next up. Watched about 5 other orders come out after she said that and before ours came out. Value is not worth the wait. I had a great experience that past few times but this one ruined it! I’ll be going else where the next time friends are in town and are wanting steak. 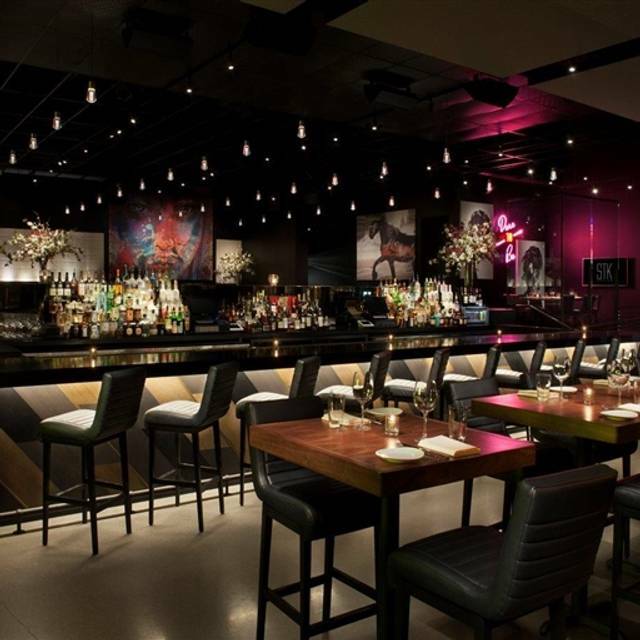 We always enjoy STK.. we had a great night of quality food and friendly service. We had a small problem with one of our steaks, and they corrected the problem immediately to perfection. Atmosphere is awesome. Made an Open Table reservation during a trade show. Short walk to the restaurant. Cool decor...larger paintings by local artists on the walls. We were early...6:15 pm so they weren't very busy. Service was great. Good drinks. Food arrived quickly. Steaks were great. One ordered medium well might have been a little over done but all else was very good. We would go back again and recommend to others. Our server, Matt, honestly one if the best. Zachariah, or food delivery expert with a great mustache, also great. The food was fantastic. Went back the next day for appetizers. Second time at STK. what an unbelievable experience . This place lacks for nothing and definitely tops many of the restaurants in Denver. Stopped by the STK in Vegas as well. It was closed . The manager saw us admiring the art from the front door and invited us in to take a look. What an amazing business , model and the food?? Off the charts ! We made a 7:45 reservation for 4 people, and we were sat right on time. We were offered drinks shortly after, but the drink order was incorrect. They did not bring us any plates for our appetizers. Our entrees took at least 45 minutes, and they were not hot when we got them. They apologized for the long wait. The temperature on our steaks were pretty accurate. Sides are rather small, but I guess that’s expected. They forgot about the last drink we ordered so we cancelled that. We enjoy good food and good service, and we don’t mind paying for it. It is a fun atmosphere, but we will probably choose somewhere else to go next time. Food was cold and took forever. This was a very hip location with great food. The music was loud (lots of bass) and that made conversation a bit of a struggle at times, but the food and service were absolutely top notch. Nice location and great service. Awesome. I will come back very soon. For the price of the food, big disappointment. Steak arrived way undercooked from how I ordered it and then when we sent it back it came completely charred and burnt. Great drinks and amazing food. Everything was wonderful from beginning to end. Our server's name was Ella and she took great care of our table without interrupting the conversation flow. We all has a really good time and expect to be back! Waited 1.5 hours for food to arrive. Once the food arrived, it was okay. Received some comps but wait waa excessive. Great service with a nice ambiance that is on the hip side. It can probably get loud later in the evening. Pricing is on the higher end but the quality is in line. 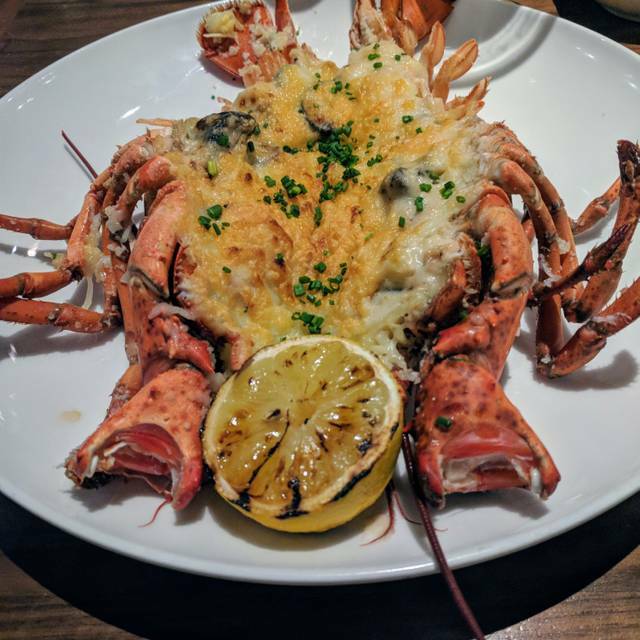 It is a chain which may have a harder time in the Denver area with other comparable local options but it has a definite niche. 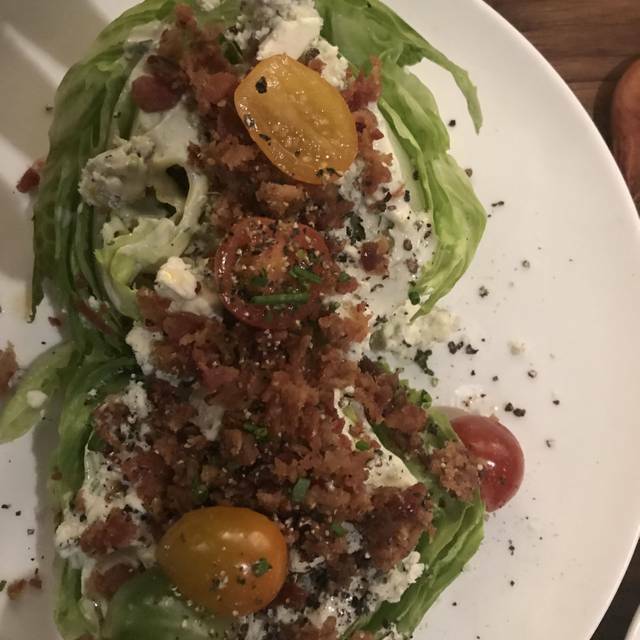 Their fresh baked bread with Bleu cheese butter is as delicate as croissants and the bone-in and dry aged steaks are a great touch. We were there at 7pm on a Friday night! From the time we walked in the door, the service was outstanding. It was quick, efficient and very professional. Take it form someone who has worked in the restaurant industry, the service and the ambiance was top notch! THEN the food came out and our beverages as well. I would go back in a second. Everything came out just perfectly!! STK first-timers and for our first time, it was spectacular! High-end steakhouse will blow your socks off. Steak - cooked perfectly, side - parmesan truffle fry perfection, appetizer - crispy calamari with a delicious spicy sauce - so good! We will definitely be coming back. I came here for an anniversary dinner with my girlfriend, and this is one of the best establishments I’ve ever had the pleasure to visit. I am a chef myself, and I must say the cuisine is both inspired and perfectly executed. We ordered the seared scallops for a starter, and to be honest, they were the highlight of the whole amazing meal. I ordered the 14oz NY strip for an entree, my girlfriend ordered the 6oz filet. Both were cooked exactly to order, and the grilled asparagus we had as a side was tender and well seasoned. 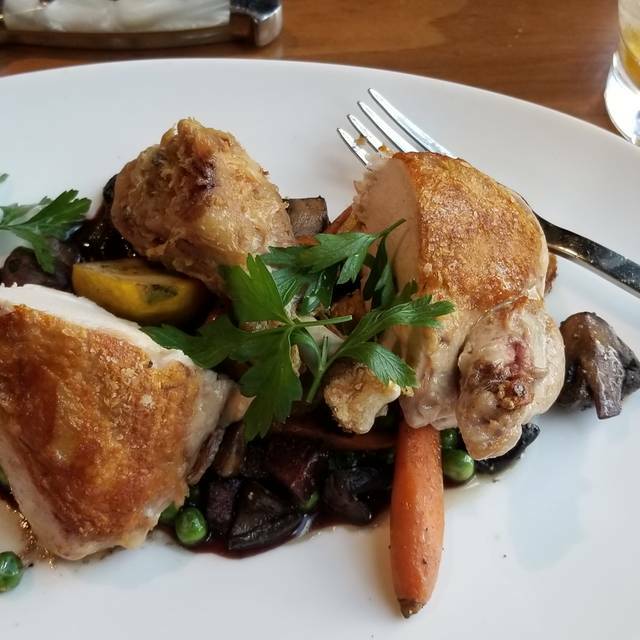 Our server, CJ, was both knowledgeable and extremely welcoming, and pointed us in the direction of more than one delicious decision. All around they get a solid five gold stars from me, and I look forward to visiting them again. My Fiancé steak was chard and very average and my steak was cooked Medium when I asked for Medium Rare... the place was dead on Friday night but the music was bumping. Service was slow... more aggravating when you have slow service and the place is dead. Very sub par... the bread was the best part. Although I wish they had balsamic for those of us that can’t have dairy. Outstanding service. Innovative cuisine. I will definitely be back. So nice that they offer parking for shows and complimentary cocktails for theatre goers....portions are large so you basically have lots of leftovers! Delicious and the waiter was excellent! The DJ was five star! Not a great experience at all. Service was poor (server was short, arrogant, pompous....just an overall poor experience service wise). Food was good, but was shadowed by the poor customer service. Not likely to head back anytime soon. Rib appetizer - what rib? There was barely any meat to be found on any of them. The rub was good but they were just weird crispy and super oily w no meat in sight. Just some small portions of fat. Steak - paid $20 bucks for the 14 oz Delmonico upgrade. Asked for a touch under medium and they came out super charred. The steak was almost well done - a major no no. The mashed potatoes they came with were super grainy and I think were of the boxed variety. Truffle fries - fries were nice and crispy but $13.50 for an order of French fries hahah give me a break. Dessert- we split the two for the special - and they needed a microscope to be seen. The apple tart was super dainty and two bites and the pudding or whatever it was - was one spoon as it was in a cappuccino cup. 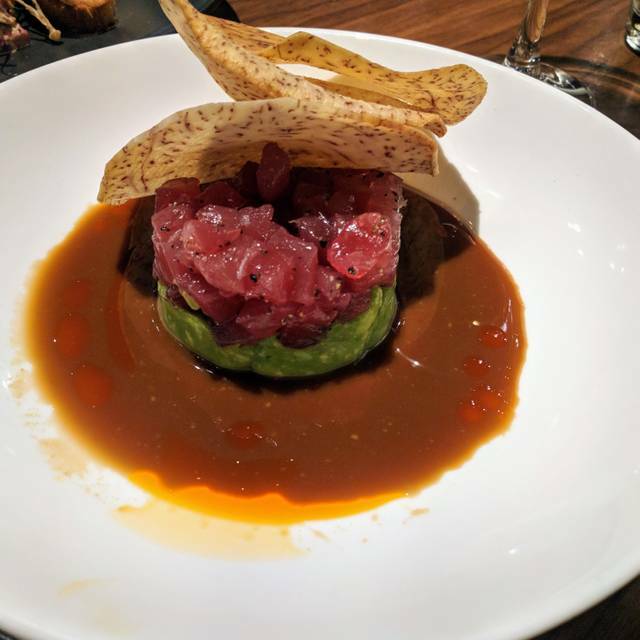 Shame on STK as it reeked of a publicly traded chain restaurant (which it is) that is trying to squeeze the most profit it can for a terrible value. 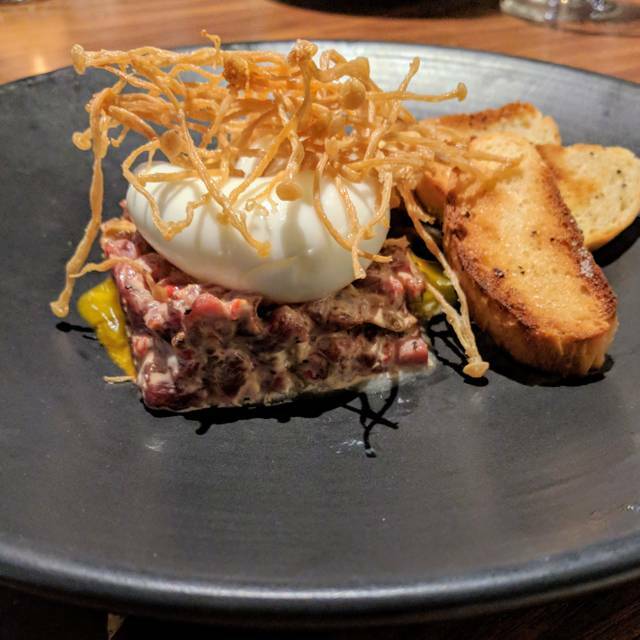 This place isn’t even in the same stratosphere as Guard and Grace, Edge, Urban Farmer or the upscale chains such as Capital Grille or Ruth’s Chris, but yet is the same price point. The service received was outstanding. Food was great, the restaurant was fantastic. Outstanding vibe, food, and service! Excellent food, personal service. Everything was exceptional until they turned the volume up in the music. We were dining early, but the music was so loud at the end that we couldn’t converse. 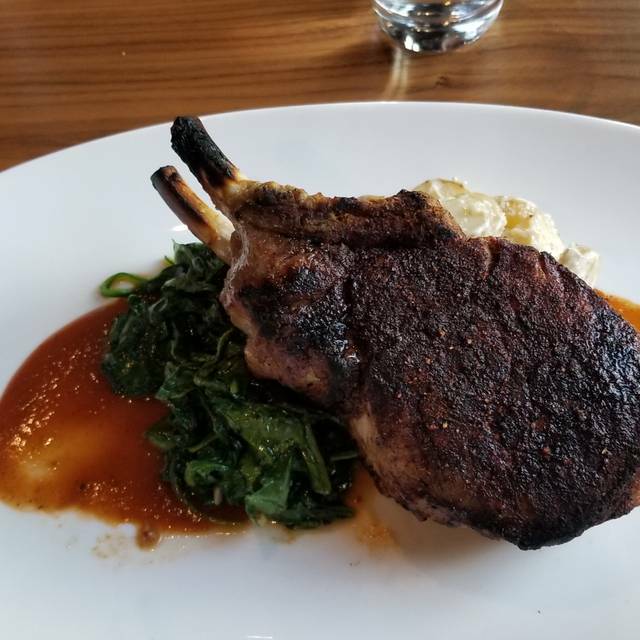 It happened to be Denver restaurant week and based on other steak restaurants we had tried for DRW we were all pleasantly surprised, they didn’t downgrade the items on the regular menu. Two of the four had the prefix menu and it was just as good as other times that we have been to STK. Service, ambience and food was excellent!! Very disappointed. Avid eater and since living in Chicago. Took advantage of restaurant week and it was a hot mess. I know it's restaurant week but get it together. The whole meal was rushed and felt as if we were unwelcome. Our waiter literally rolled eyes if we asked one question about the wine pairing. They then forgot one of the first course dishes. For the second course we all ordered the steak done medium and mine came out well done. They corrected but other than an apology, no gratuitous drink or anything off the bill. The noise was horrendous like a night club. Definitely not coming back as there is equally if not better food with better ambiance in the city.